Guess what day it is? Friday! Do you know what that means? It’s time for another Plate for One post! This week, I’m bringing you an easy main dish that you can make for yourself. If you have leftovers, you can even add them to a salad or eat them on another night! I’m not a big fan of meat but there are a few that I’ll eat and chicken is among them. 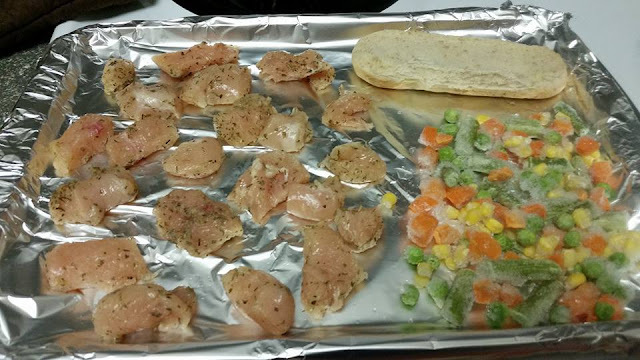 Therefore, you’re probably going to see more than one recipe that involves chicken in the future. I thought I’d keep the first one simple and easy. 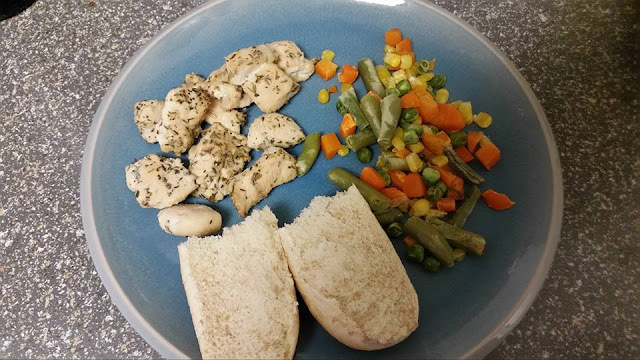 This recipe takes about 30 minutes from prep to finish and tastes delicious! It’s a simple recipe that can be adapted in a variety of ways to make something new each time. 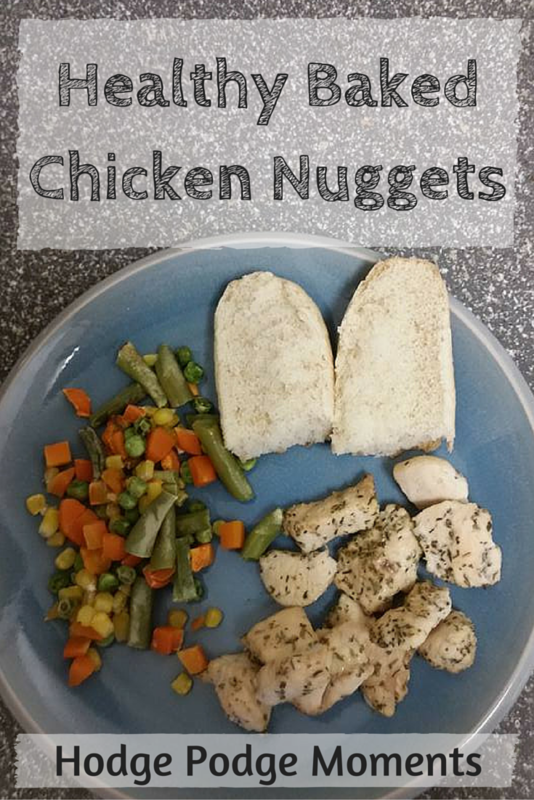 Here you go – healthy baked chicken nuggets! 2. Cut your chicken into nugget sized pieces. 3. 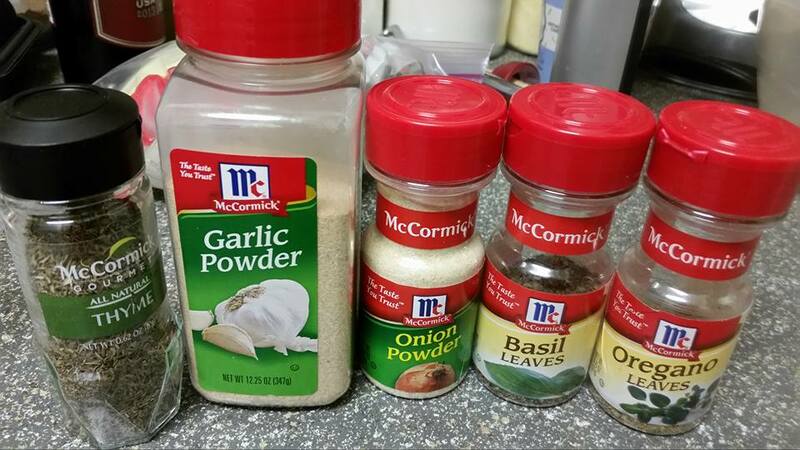 Assemble your spices. Today, I chose garlic powder, onion powder, thyme, oregano, and basil. You could always pick different spices for a different flavor. I was going for an Italian feel tonight. 4. Place the chicken in a Ziploc bag and add a teaspoon (or two) of each spice to the bag. (I literally just shake a little of each spice into the bag.) 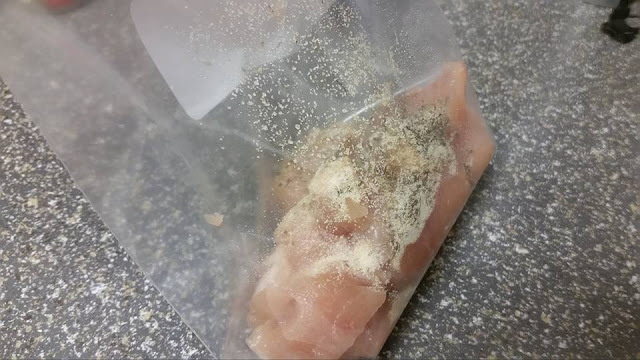 Then, use the shake method found in my Breakfast Potatoes recipe to make sure the chicken is coated in spices. You don’t need any oil or butter if you coat them well. This makes the recipe even healthier! 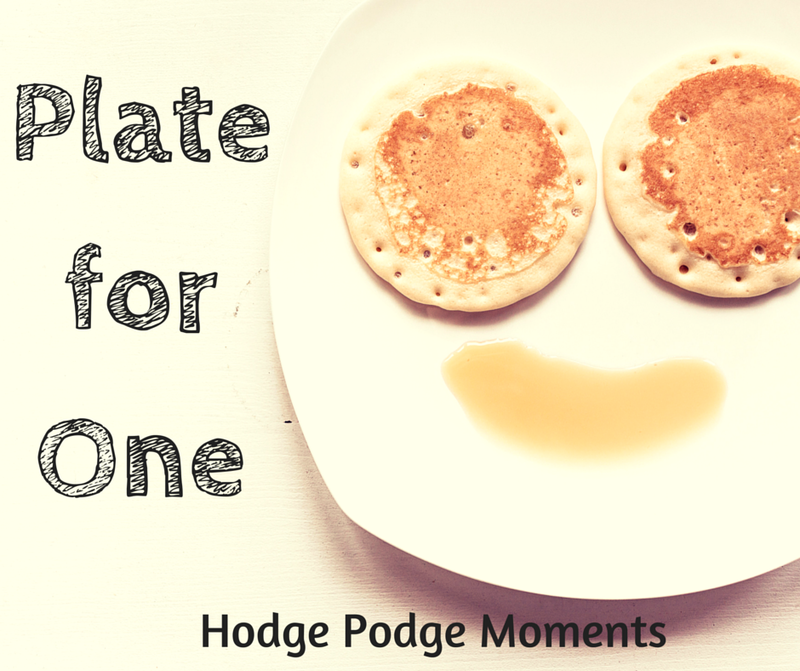 This recipe is part of the Plate for One series which means it’s designed for a single person. 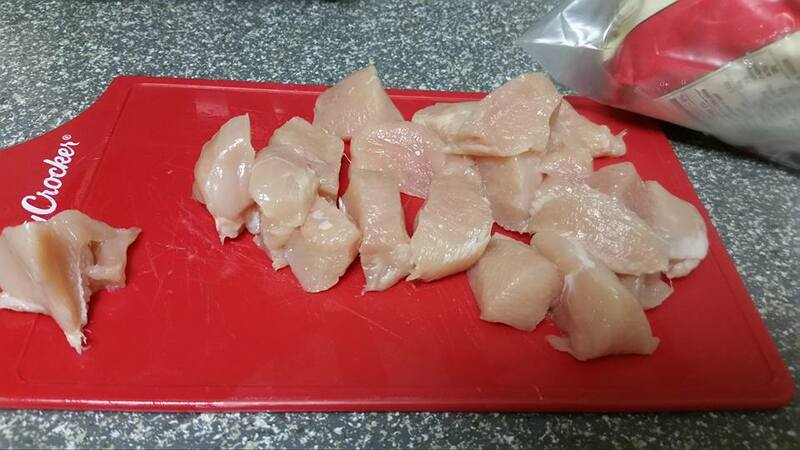 You can easily increase the number of chicken breasts if you are preparing meals for more than one person. 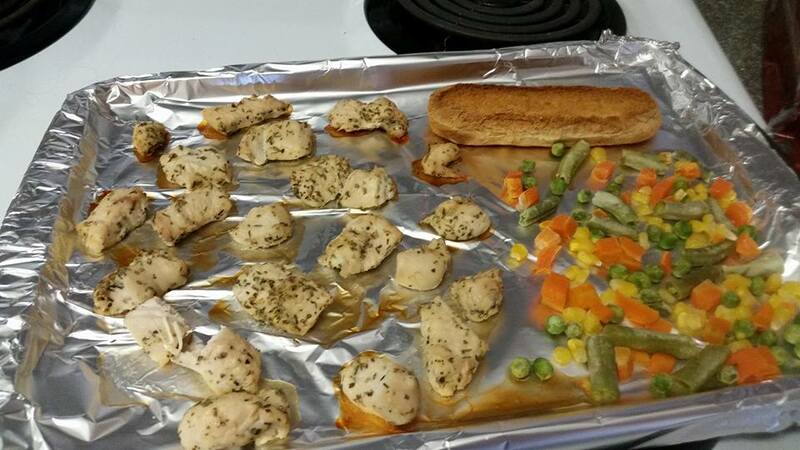 What sides would you make with your chicken nuggets?